Michael Laverty just missed out on a points finish for the second race in succession when he took 16th at the Grand Prix of the Americas in Austin. 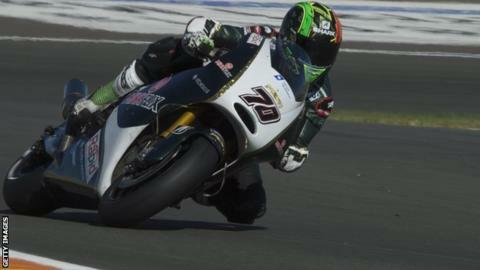 The PBM rider from Toomebridge in Northern Ireland finished in the same position in the season opener in Qatar. Marc Marquez won in Texas for the second year in a row, coming home six seconds ahead of Dani Pedrosa. Ducati rider Andrea Dovizioso completed the podium but Cal Crutchlow broke his right hand after crashing out. Stefan Bradl edged out Bradley Smith for fifth, while Valentino Rossi had to settle for eighth. Jorge Lorenzo was penalised for jumping the start but recovered to secure 10th place after completing his ride through penalty. Laverty was one minute 32.54 seconds behind the winner and was 16th of the 18 finishers. The next round of the series will be staged in Argentina on 27 April.